While we're on the subject of the Cornish, I think this year marks the 175th anniversary of Camborne station (at which the train never stops on Wednesdays), making it the oldest station in continuous use in Cornwall. I think that will depend on a), whether the TOC or ROSCO is paying for this upgrade, and b) who wins the next franchise. 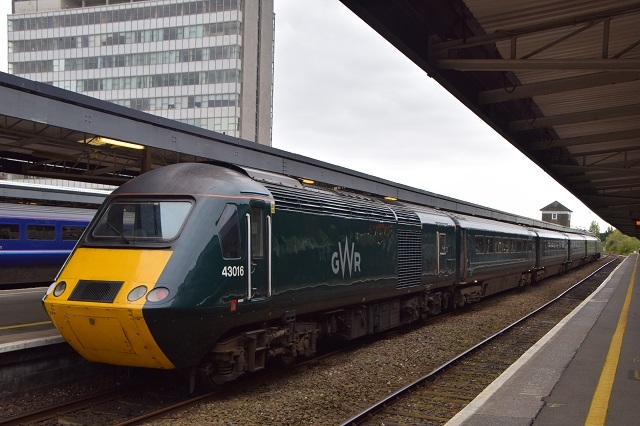 With these short-formed HSTs to be the only ones left with GWR at the end of this franchise, it may be commercial sense to go with more 80x stock than keep maintenance facilities for just a few HSTs? The HST's & MK3 stock being modified is owned by First Group, so if they lose the franchise, whats to stop them taking the trains with them elsewhere? They could take them to TransPennine or SWR if they wanted. Whether they'd be needed there, or could be included in those franchises is debatable. Varying franchise agreements to add rolling stock, possibly reducing the use of already leased stock is difficult. Far more likely is that FirstGroup will lease the stock they own to a successor TOC if the next Greater Western Invitation to Tender includes their use. To use them as a bargaining tool or to hold the DfT to ransom won't wash. The DfT could equally specify a tender that doesn't include them long term, instead requesting that bidders look to acquire new build. 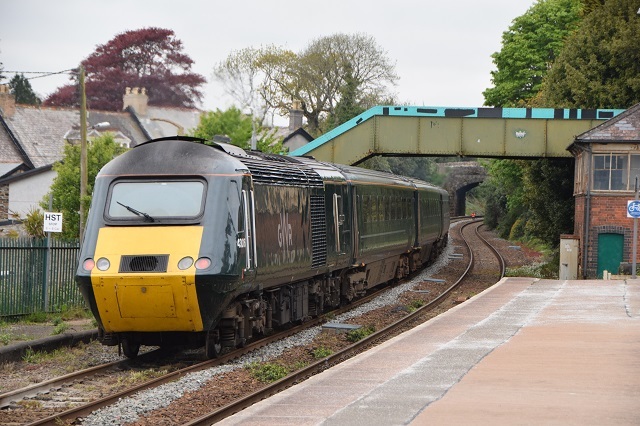 Had the opportunity to ride on the four car HST set between Plymouth and St Austell last Friday. The doors, which open smoothly and without delay when the button is pressed, slide into an internal space rather than "popping out" like the 158s or sliding externally as with the 153s. 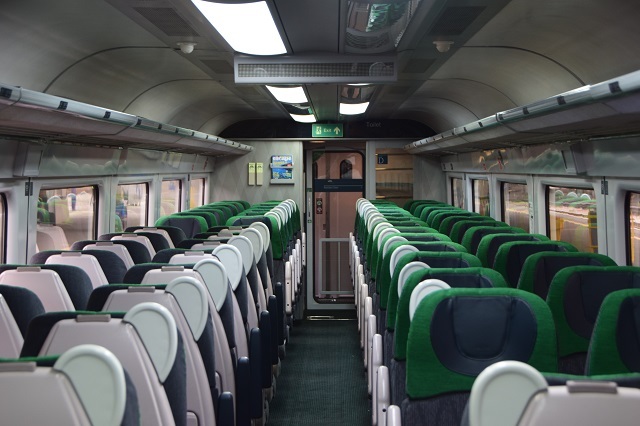 Internally the coaches look very similar to the full size HST set launched in 2016. The coach I was in only appeared to have two sets of four seats around a table. Powerpoints and wifi are provided throughout. The toilets now have retention tanks (I don't do photos of WCs!) This first set is lacking a disabled toilet or a wheelchair accessible space. 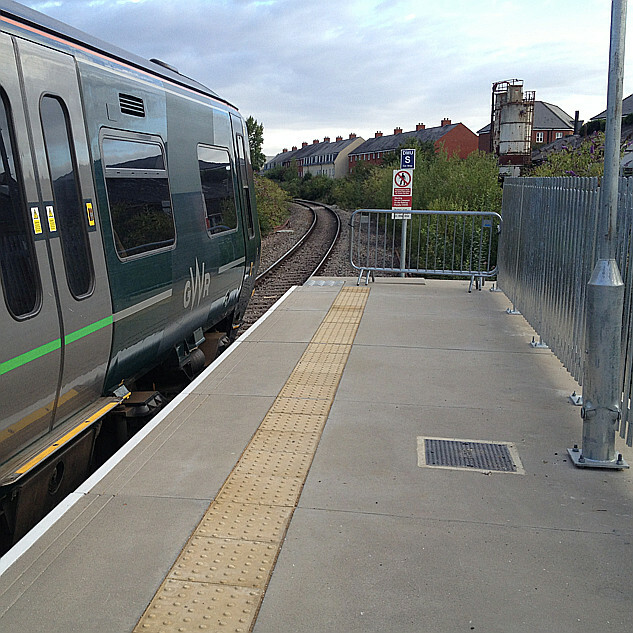 The automatic doors certainly help with dwell time and we waited for time at a couple of stations. 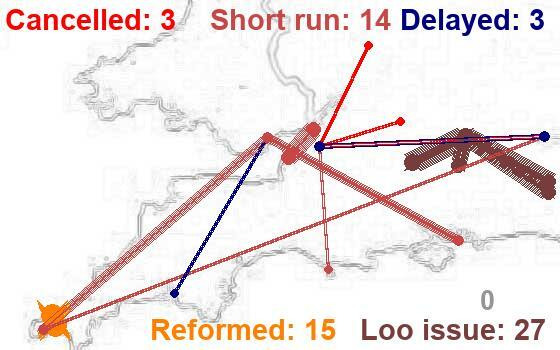 Partly I suspect due to the shorter station stops but also the better acceleration. 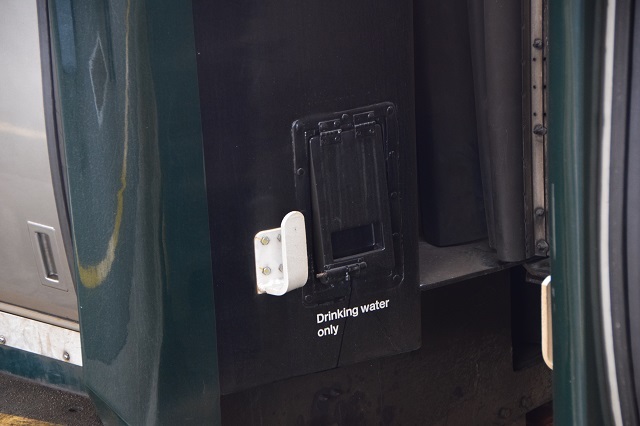 One thing which caught my eye was the requirement to only fill the tanks on Coach A with drinking water - the other three have no such requirement. Is it because the coach has been converted from a former catering vehicle, or is it required for the train manager's office? Is this one of them? Facilities on the 09:06 Plymouth to Penzance due 11:14. Service full and standing from Plymouth. No - just the two coaches. The return journey could be cozy too. At least it’s running. 12:56 Penzance to Reading due 18:06 will now run as scheduled. 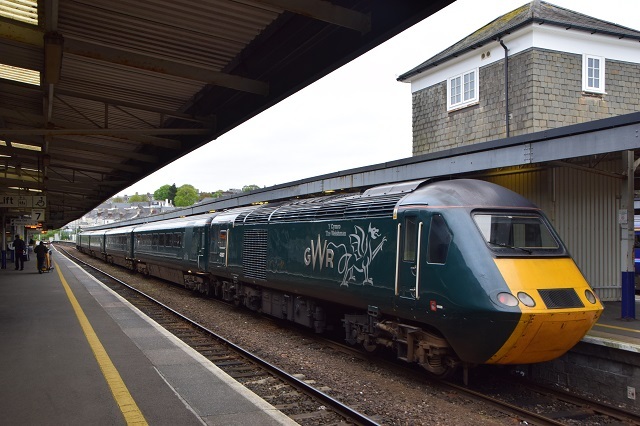 Will be formed of 2 coaches instead of 8 between Penzance and Plymouth. First class reduced. Catering is not available. There are no reservations on this service. Toilet facilities are reduced. Most of Cornwall’s services are wedged today that isn’t an exception! I would hope it's pretty exceptional, on one of the busiest days of the year to substitute an 8 car HST with a 2 car unit? Then again it happens on the Cotswold Line every day. 2 hours jammed in a cattle truck in this weather, and if youre headed for London changing at Plymouth & Reading and hoping for the best. Lovely. I guess the one consolation for the customers is the knowledge that they are being conveyed by the Rail Operator of the year. I was referring to trains in cornwall being wedged whatever size they are. It seems to have gone a bit quiet on deliveries of "Castle"s. My understanding was that there was a first trial unit then production units at one per month until delivery was completed late in 2018, ready for the half hourly Cornish service at the start of next year. So shouldn't there be four or five buzzing around by now? 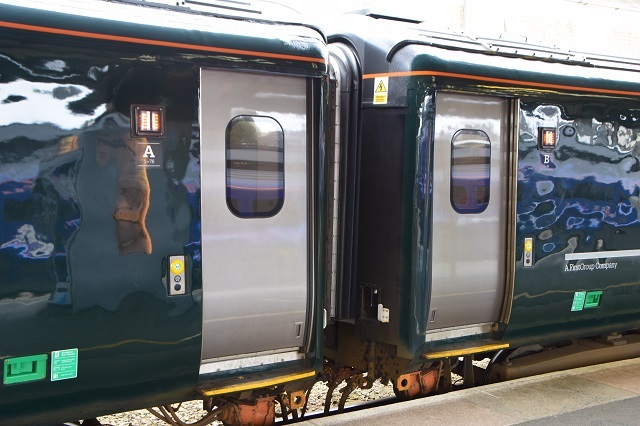 That's 20 carriages and would allow stock to be used to provide fit-for-purpose services elsewhere across the unit fleet. That's last time I dared take a train trip to Weymouth. We were packed like sardines in a 3-car unit. Absolutely ridiculous. It was like then when I was little so we lost contact with all of my granddads family in Upwey. It's not just traffic loss on the day ... it's damage from this point hence. Interesting you raise the Weymouth line Graham and sort of staying on topic, last year regular users of the Weymouth line had a full length HST to enjoy on summer Saturdays. A crowd buster if ever there was one and a comfortable one at that too. Now it’s gone it’s going to be noticed if a two or three car train takes its place rather than something like a 5 car service. As I understand it however the HST was never full, so perhaps as you say something "in between" would be about right - 5 car Turbo?